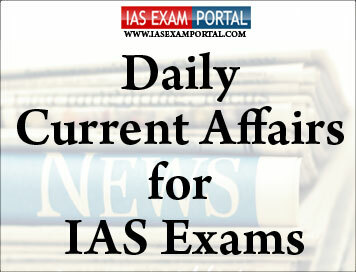 Current Affairs for IAS Exams - 27 JANUARY 2019 | IAS EXAM PORTAL - India's Largest Community for UPSC Exam Aspirants. The Jan SwasthyaAbhiyan (JSA), a national platform working on health and healthcare services, urged the Ministry of Health to immediately implement the Charter of Patients’ Rights and ensure the inclusion of the entire range of patients’ rights without any dilution. “The adoption of the charter is urgent to ensure that the many violations of patients’ rights are immediately addressed to stop loss of health and even lives,” the umbrella group said in a statement. A national consultation was held earlier this week where they deliberated on patients’ experiences and violations faced by them especially in private hospitals. In August 2018, the Ministry of Health and Family Welfare announced its plans to implement this Charter, which was placed in the public domain for inviting comments up to 30th September, 2018. Although nearly 4 months have elapsed since this declaration of intent, there seems to have been no further progress on finalisation and adoption of the charter,” the group noted. The charter will act as a reference framework for the Union and State governments to give complete protection to patients, while they set up operational mechanisms to make these rights functional and enforceable by law. “This is especially important and an urgent need because India lacks effective regulation of the private medical sector,” the group noted in its release. The Vice President of India, Shri M. Venkaiah Naidu has called for revisiting education system with emphasis on history, heritage, culture, traditions, values and ethos of India. He said that the stories of sacrifice, valour and contributions made by the freedom fighters and other leaders should become an important component of our education system. The Vice President said that educational institutions must become temples of learning and wisdom. They should become sanctuaries of peace and harmony, growth and development, he added. Apart from learning and acquiring knowledge, students must also learn to practice yoga and participate in sporting activities as it was essential to develop a sense of equilibrium in the stress- filled world of today. He called upon educational institutions to impart spiritual values as well, he added. Freight rates for dry-bulk and container ships, carriers of most of the world’s raw materials and finished goods, have plunged over the last six months in the latest sign the global economy is slowing significantly. The Baltic Dry Index, measure of ship transport costs for materials like iron ore and coal, has fallen by 47% since mid-2018, when a trade dispute between the United States and China resulted in the world’s two biggest economies slapping import tariffs on each other’s goods. The Harpex Shipping Index, which tracks container rates, has dropped by 30% since June 2018. Their slump underscores weakening manufacturing data from Asia, Europe and North America. “Slowing global economic growth, the unresolved U.S.-China trade conflict, the U.S. government shutdown, and Brexit drama are all sources of uncertainty dragging at sentiment,” said Hussein Sayed, chief market strategist at futures brokerage FXTM. Ministry of Textiles will hold National Conclave on Technical Textiles on 29th January 2019 in Mumbai. The event will also be a curtain raiser for TechnoTex 2019.The conclave will be presided over by the Union Minister of Textiles, SmritiZubinIrani. The technical textile sector is the sunshine sector forthe textile industry and it is one of the fastest growing segments of the Indian Economy. This sector is expected to see a double digit growth in coming years and is projected to reach a market size of Rs. 2 lakh crores by 2020-21. Spain, France and Germany put Venezuelan leader NicolásMaduro on notice ahead of an UN Security Council meeting on Saturday, saying they would recognise Opposition leader Juan Guaidó as President unless he calls elections within eight days. The ultimatum comes as international pressure mounts on the Maduro regime to agree to a new vote, after the United States, Canada and major South American players recognised Mr.Guaidó, who proclaimed himself acting President of Venezuela during massive street rallies this week. For his part, U.S. Secretary of State Mike Pompeo will on urge UN Security Council members to recognise Mr.Guaidó as interim president, the State Department said. Spain had wanted the EU to take a tough line on Mr.Maduro by calling for immediate elections, failing which it wanted the bloc as a whole to recognise Mr.Guaidó. But countries like Austria, Greece and Portugal are much more reluctant. Greece’s ruling party Syriza has publicly backed Mr.Maduro, with party secretary PanosSkourletis voicing “full support and solidarity” to what to he called “the legal President”. A military base deep inside Saudi Arabia appears to be testing and possibly manufacturing ballistic missiles, experts and satellite images suggest, evidence of the type of weapons it has long criticised its arch-rival Iran of possessing. Further raising the stakes for any such programme are comments by Crown Prince Mohammed bin Salman, who said last year the kingdom wouldn’t hesitate to develop nuclear weapons if Iran does. The images, first reported by The Washington Post , focus on a military base near the town of al-Dawadmi, some 230 km west of Riyadh. Jane’s Defence Weekly first identified the base in 2013, suggesting that its two launch pads appear oriented to target Israel and Iran with ballistic missiles the kingdom bought from China. The November satellite images show what appear to be structures big enough to build and fuel ballistic missiles. An apparent rocket-engine test stand can be seen in a corner of the base the type on which a rocket is positioned on its side and test-fired in place. Such testing is key for countries attempting to manufacture working missiles, experts say. Chinese military support to the kingdom would not come as a surprise. China has sold armed drones to Saudi Arabia and other nations in the region, even as the U.S. blocks sales of its own to allies over proliferation concerns. Parkinson’s disease,which affects the central nervous system of the body currently does not have an effective cure. The dopamine (neurotransmitter chemical) deficiency caused by the disease can, however, be overcome by providing drugs which are capable of crossing the blood–brain barrier. But most of the time only 1% of the drug (levodopa) reaches the brain after being orally taken. Using dual drugs (levodopa with carbidopa) have increased the fraction of drug reaching the brain, but low half-life has posed challenges. With a long list of problems staring at Parkinson's disease management, now researchers from Indian Institute of Technology, Delhi have tasted success. They have fabricated disc-shaped microparticles, merely 15 micrometres in size, made up of two compartments for carrying dual drugs without having drug–drug interactions. In Cricket, India defeated New Zealand by 90 runs in the second ODI at Mount Maunganui today to take a 2-nil lead in the five-match series. Opting to bat, Team India posted a formidable 324 for 4 in the stipulated 50 overs riding on a collective batting effort. Rohit Sharma and ShikharDhawan shared 154 runs for the opening wicket, before skipper ViratKohli, AmbatiRayudu and MS Dhoni powered India to a 300-plus total. Rohit top scored with 87, while Dhawan made 66.